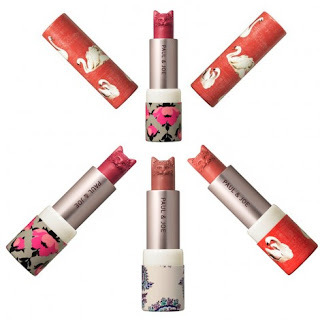 Paul & Joe lipsticks in a CAT SHAPE OMG!!!!!!!!!!!!!!! I love neko-chans ttm!!!!!!!!!!!!!!!!!!! I think kitties are the cutest animals on Earth. But I doubt I will use it even if I buy, because they are so cute!!! Who'd wanna ruin the cute design on it!!! However there are only 3 shades available: Exotic Pink, Pink Beige and Pearl Orange. Can't wait to check them out!